Sponsored post on behalf of Mom Central Consulting for American Heritage Chocolate. Chocolate lovers, you’ve come to the right place! Here is something extra special. 18th century chocolate meets 17th century pudding. 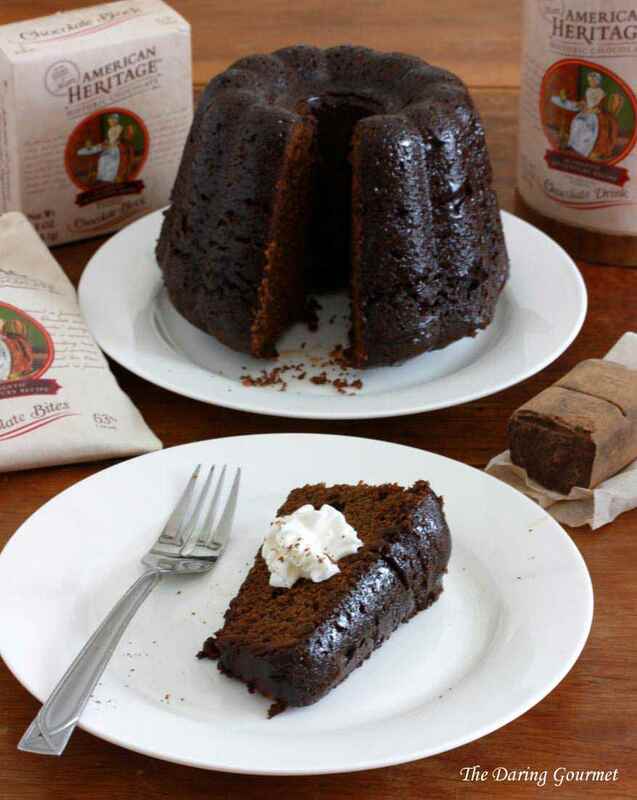 This decadent chocolate steamed pudding celebrates the rich heritage of a beloved and traditional dessert originating in England in the 17th century and brought to colonial America. It was my mom who introduced me to steamed puddings. It’s always been the tradition in my family for my mom to make a steamed pudding every year for Christmas and New Year’s (two different kinds and both equally amazing). She’s been making them since I was a little girl and it’s something we all look forward to every year. Steamed puddings have been a long-held Christmas tradition in England since the 17th century and this tradition was continued by the early American settlers. The most common is plum or fig pudding, made in a special steamed pudding mold of various shapes and sizes. (Think lyrics from “We Wish You a Merry Christmas”: “Oh, bring us a figgy pudding, oh bring us a figgy pudding…”) If you’ve always wondered what on earth a “figgy pudding” is, now you know! 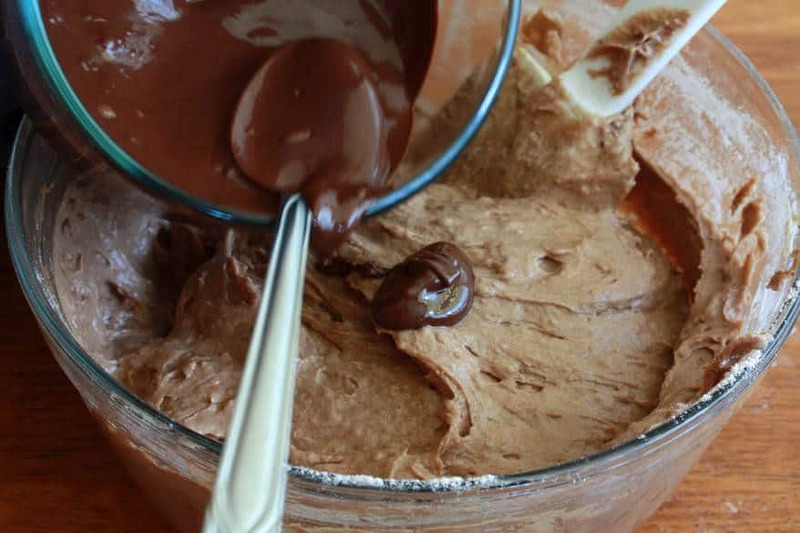 The method for making it is similar to this chocolate pudding only the ingredients (including chopped figs) are different. Steamed puddings have traditionally been made using flour, breadcrumbs, or torn up pieces of bread. 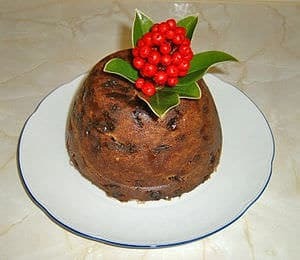 Here is a very traditional Christmas pudding, often garnished with a sprig of holly (photo courtesy of Wikipedia). Traditionally pumped so full of brandy as a preservative, and for flavor, that the pudding would virtually last years! It is then lit on fire just before serving. Despite their popularity for so many centuries, it’s unfortunate that, though common in the colonial days of our country, they are relatively unknown today. Yet another tradition that’s sadly been lost. I have yet to meet someone here outside my own family who has ever tried one, and most people have never heard even of them. The only “pudding” widely known today is the custard/mousse kind. So I’ve developed this recipe in celebration of a rich heritage of steamed puddings (thus the “heritage” in the title) and have added a modern twist – chocolate! 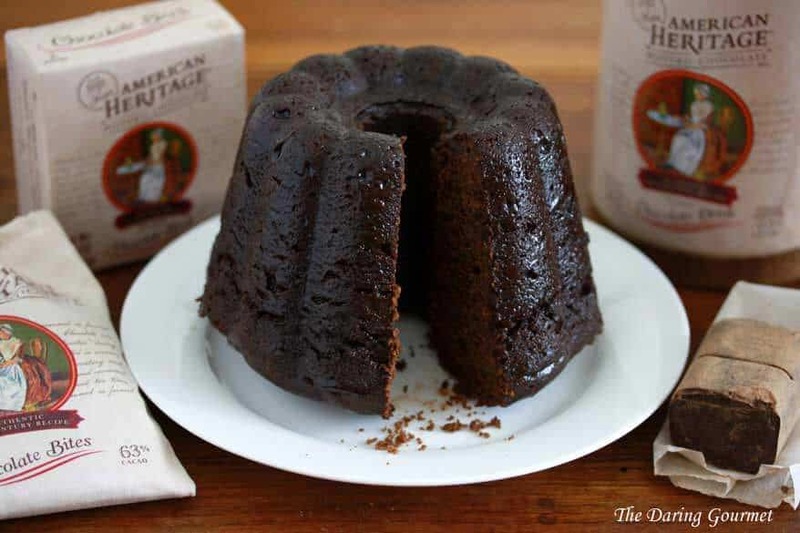 I’ve partnered, fittingly, with American Heritage Historic Chocolate to bring you a delicious, decadent dessert using the very best of the best chocolate available. For the sentimental patriot. And for anyone who loves chocolate. Sink your teeth into this while I tell you a little more about this historic chocolate. American Heritage Historic Chocolate is a subsidiary of Mars. And something I never knew until a week ago is that the birthplace of Mars Chocolate is…Tacoma! The first factory from the early 20th century is in downtown Tacoma, just 20 minutes away from where I live. Now an abandoned building but with so much history behind it. I’ve always been sentimental and knowing this made me even more eager to accept the invitation to try this chocolate. I need to emphasize that I only write about products that I personally like. And I usually don’t review them – I simply demonstrate how I use them in my recipes. But I am particularly impressed with this chocolate and want to share a few of my thoughts about it with you. This chocolate is made from an authentic 1750’s recipe. Mildly spicy and slightly sweet, it’s flavored with a blend of spices and ingredients that were available during colonial times, such as cinnamon, anise, nutmeg, orange, chili pepper, and vanilla. It’s certified Kosher, made with all-natural ingredients and no preservatives. 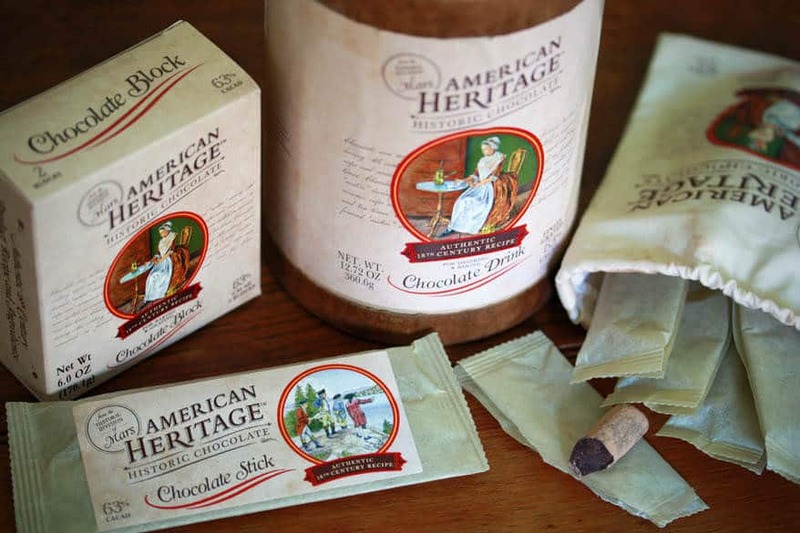 American Heritage Chocolate is available for sale at over 130 living history museums and sites across the United States and Canada and also on their website. I’m thrilled that they’ve recreated this historic recipe in an effort to preserve a piece of our American heritage. 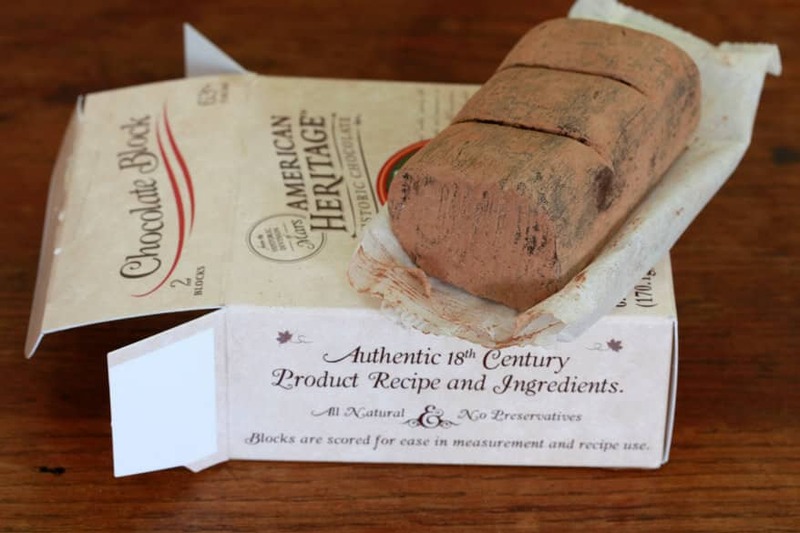 I’ve also learned that there are a couple of living history museums right here in Washington that feature this chocolate (there’s a complete list on their website). I’m looking forward to taking my family for a visit! Chocolate lovers, you may also be interested in this really neat, interactive History of Chocolate Timeline on American Heritage Chocolate’s website. Here, have another slice for good measure – this time with some whipped cream sprinkled with more chocolate. I’m really impressed with the flavor and texture of this chocolate. I pulled out another brand of chocolate from my cupboard to do a side-by-side taste comparison – a very reputable, highly acclaimed brand of dark chocolate with the same cacao content. There was no question in my mind which one came out ahead. I had three other adult members of my family try both without knowing which one they were sampling. The verdict was unanimous: American Heritage Historic Chocolate was the winner – by a long shot. The other brand (like most dark chocolate brands I’ve sampled) had a sharp, fairly bitter, almost harsh flavor with a faint fruity aftertaste. The texture was hard and waxy. 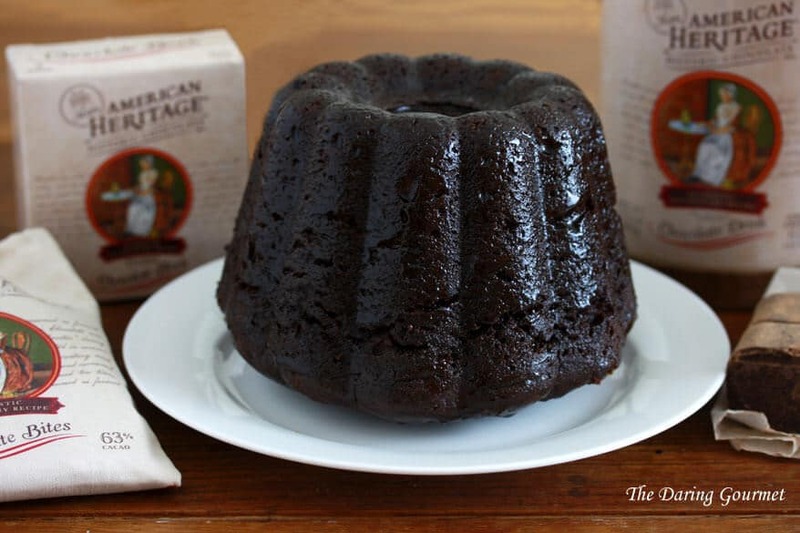 American Heritage has a smooth, almost velvety texture and a very deep, warm, even comforting flavor. And not just one flavor – the longer you let it melt on your tongue the more layers of flavor come through. I tasted – and so did my family – what seemed like a pleasant cherry-like flavor which was pronounced even in the steamed pudding. There are also warm spicy undertones – cinnamon, anise, nutmeg – that leave a slight tingly sensation in your mouth. I sampled each of their products and these flavors are consistent throughout each product. Somehow the flavor of this chocolate really is reminiscent of days gone by and for me elicits a feeling of nostalgia. Perhaps it’s those “comforting” flavor combinations that bring back memories of my mother’s kitchen, grandma’s house, childhood…home. Not that I was born in the 18th century (though there are days I sure feel like it! ), but you get the drift. Bottom line: This dark chocolate is superb. The flavor is unique and unlike any other dark chocolate I’ve tried. Once you’ve tasted it you would recognize it again. The flavor is unmistakable. And it’s the best I’ve had. Now, what I am a little disappointed about is that they don’t currently make a pure cocoa powder. The Chocolate Drink Powder, which is blended with sugar, says it’s also for baking (and I used it in this recipe along with their Chocolate Block) but for the sake of greater versatility, I really hope they’ll come out with a pure cocoa powder product in the near future. 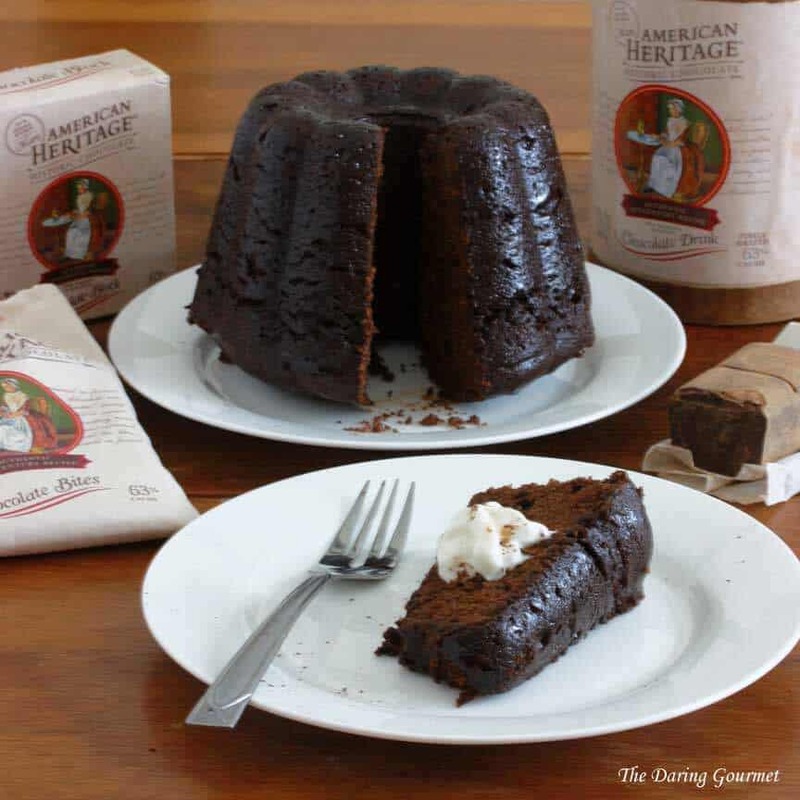 Okay, the time has finally come…*drum roll*….This Daring Gourmet all-original Heritage Steamed Chocolate Pudding! It’s going to take a long time for the water to heat to a boil, so start heating it now in a large stock pot. 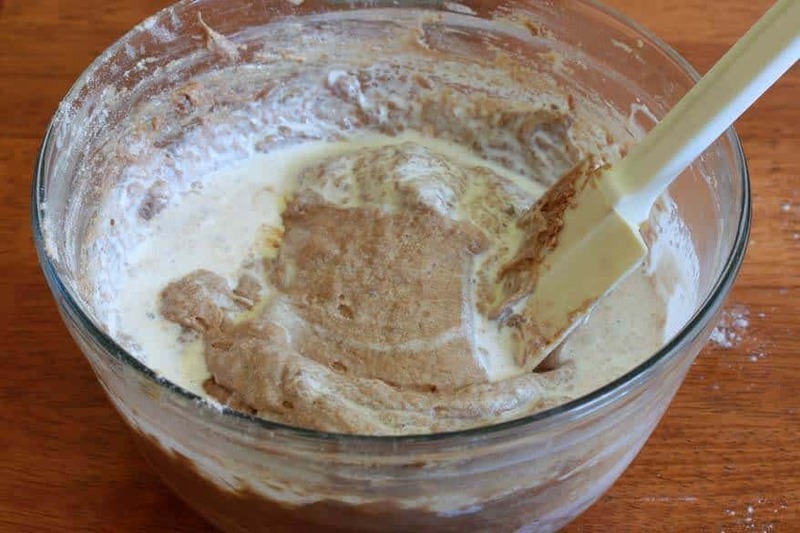 Sift the flour, baking powder and salt in a small bowl and stir in the American Heritage Chocolate Drink powder (or regular any other good quality cocoa powder). Cream the butter and sugar for several minutes until light and fluffy. Add the eggs, vanilla and rum extracts and beat until thoroughly combined. Melt the chocolate. I melted the chocolate over a boiling steam bath (double boiler). If you’re doing it that way you can get it started at this point. Otherwise you can hold off until the last step if you’re microwaving it. Alternately stir in the flour and the milk, beginning and ending with the flour. 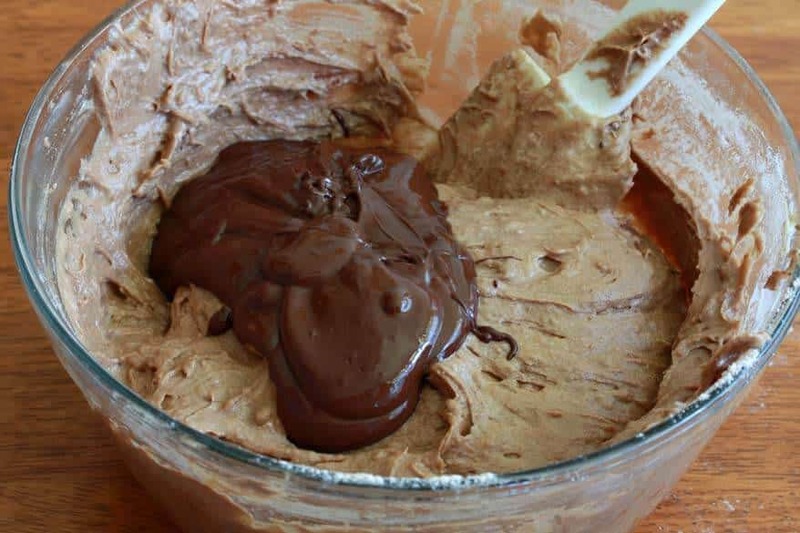 Pour the melted chocolate into the pudding batter. 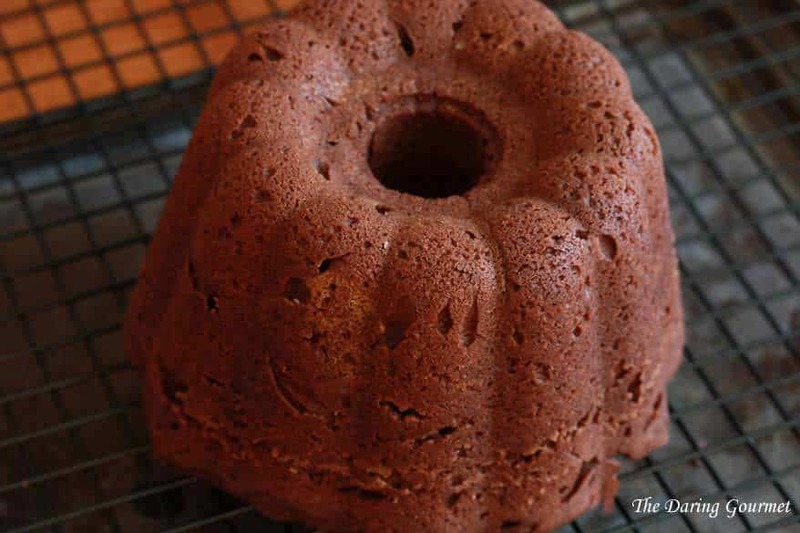 You’ll need a steamed pudding mold for this recipe. Generously butter the pudding mold. 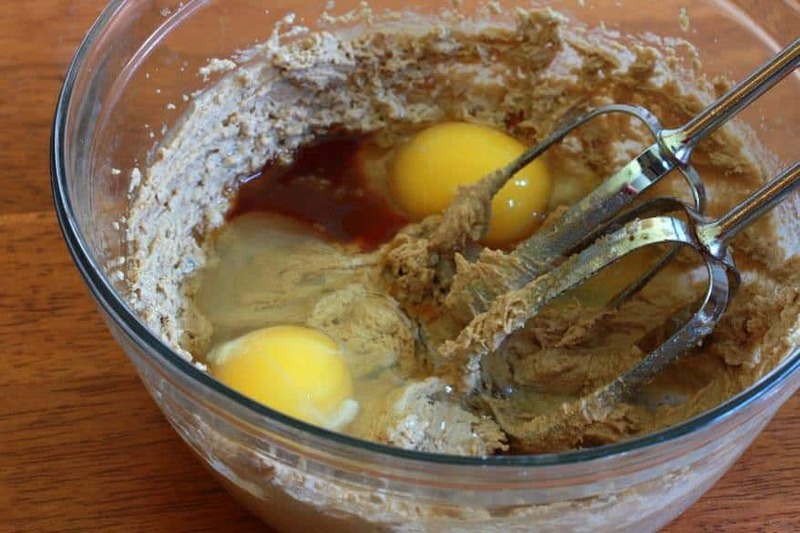 Spoon the batter into the mold. Get out a large stock pot and fill it with enough water so that it comes up to just over halfway to the pudding mold. You must avoid letting the pudding mold touch the bottom of the pot and you need to ensure the mold is standing up straight the whole time it’s boiling, otherwise you’ll end up with a lop-sided pudding (it’ll still taste just as good though!) You can either crumple up aluminum foil and set the pudding mold on top of that or, what I usually do, fold a dish towel and place it on the bottom of the pot (it’s better at keeping the mold standing straight). Bring the water to a boil, place the pudding mold inside, cover the pot, reduce the heat to low, and simmer for 1 1/2 hours. Carefully remove the pudding mold from the pot and let it sit unopened for 5 minutes (I know you’re anxious to peek, but just hold on.) 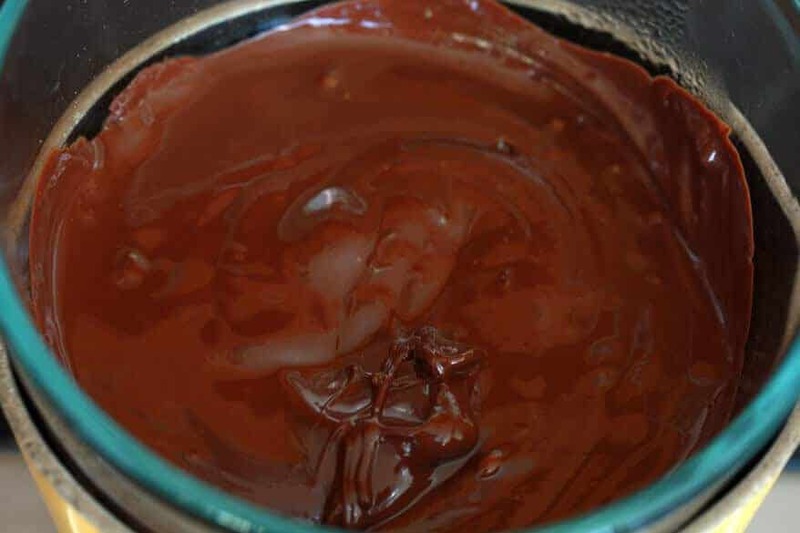 During that 5 minute wait prepare the chocolate glaze by combining the ingredients in a small pan, bringing it to a boil, reducing the heat to medium and simmering for 5 minutes. Okay, you can open it now. Invert the pudding onto a wire rack placed over a cookie sheet. While the pudding is still warm, brush the glaze all over the pudding, then carefully transfer it to a serving plate. Doesn’t this remind you of something out of Little Women or Anne of Green Gables (an all-time favorite)? Now you’re just teasing me. Steamed puddings are best served warm (reheat the pudding by pudding it back in the mold in boiling water for a few minutes – this will help it retain its moistness). Serve with your choice of whipped cream, hot fudge sauce, or even ice cream. 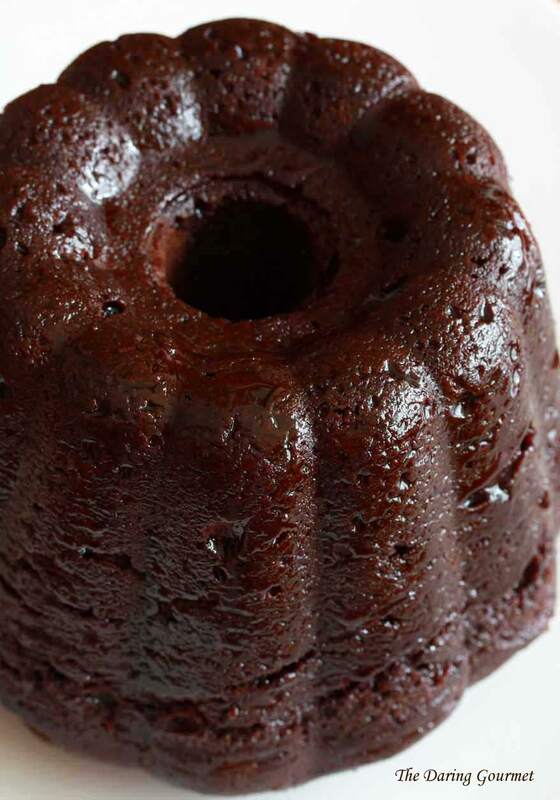 A traditional steamed pudding with a modern twist - chocolate! 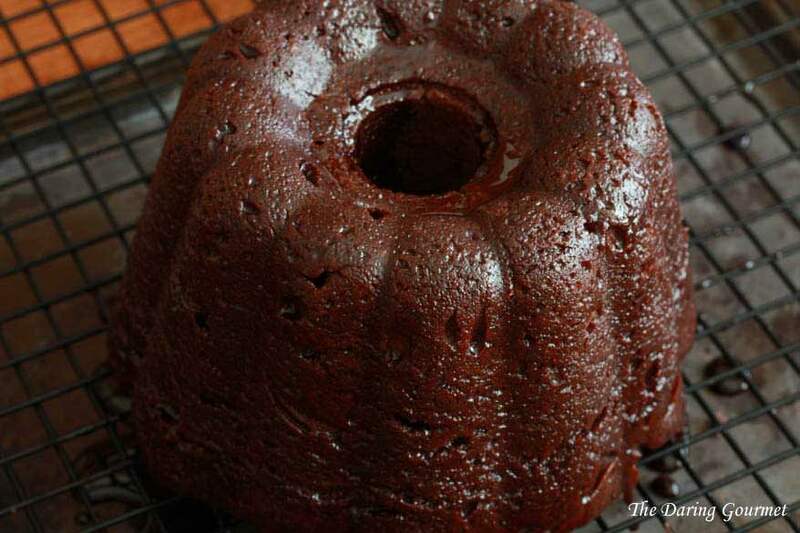 Fill a large stock pot with enough water to cover the pudding mold just past the halfway point. Start bringing it to a boil now. Generously butter a steamed pudding mold. 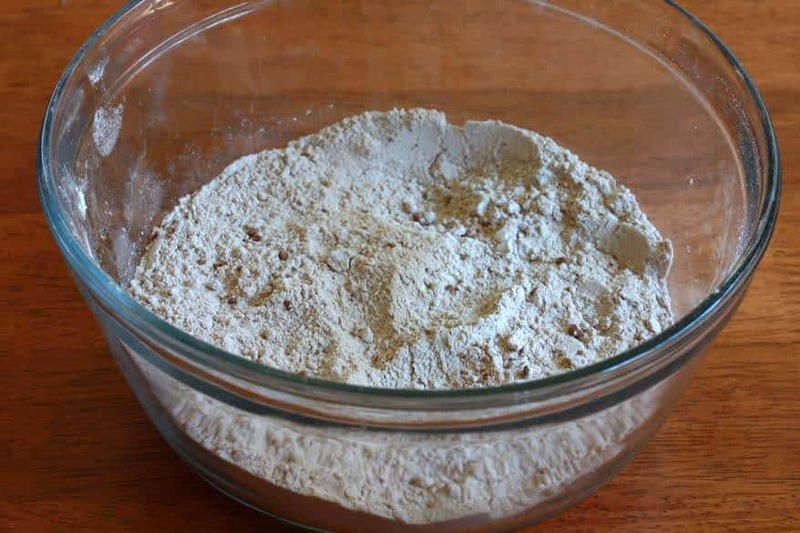 In a small bowl, sift the flour, baking powder and salt. 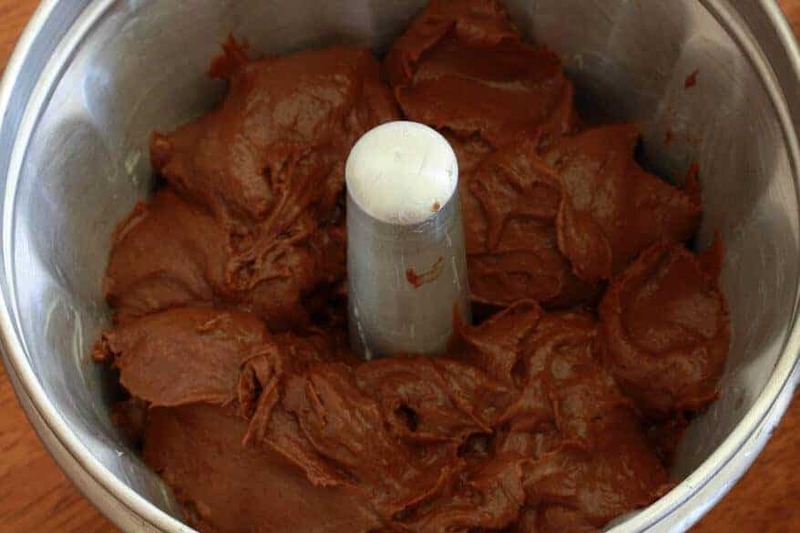 Stir in the chocolate powder. 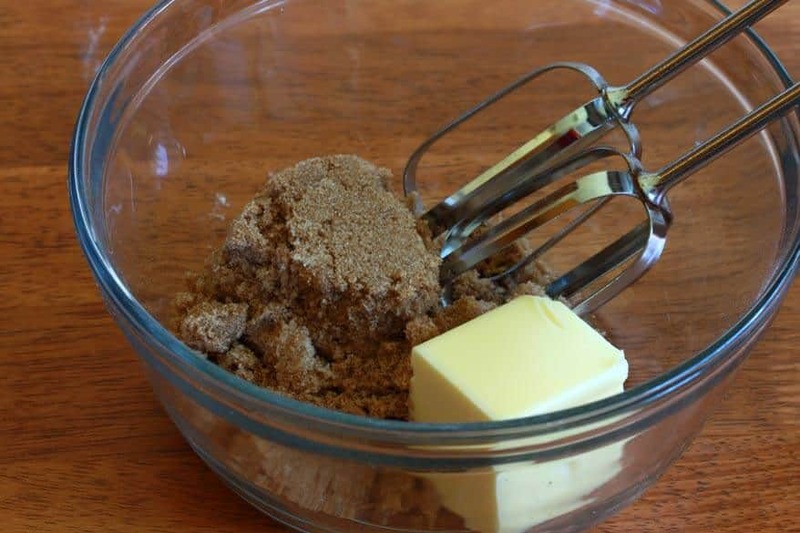 In a large bowl, cream the butter and sugar for several minutes until light and fluffy. Add the eggs, vanilla and rum extracts and beat until thoroughly combined. 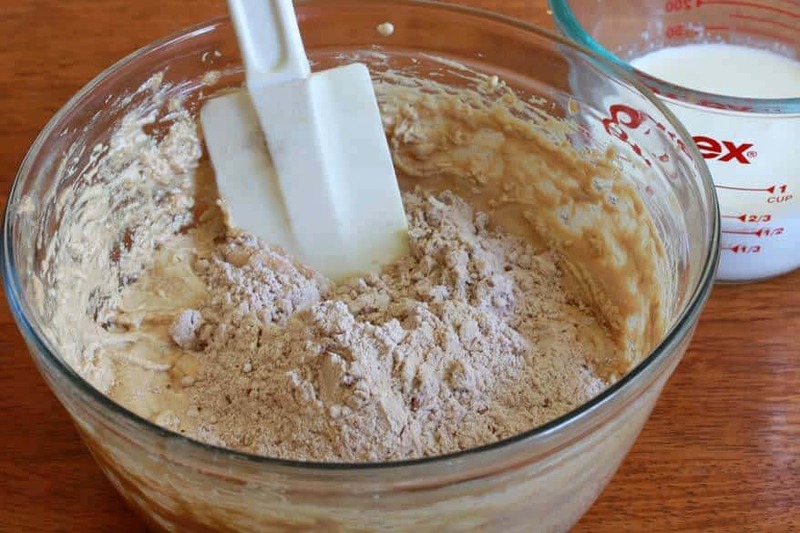 Alternately stir in the flour mixture and the milk, beginning and ending with the flour. 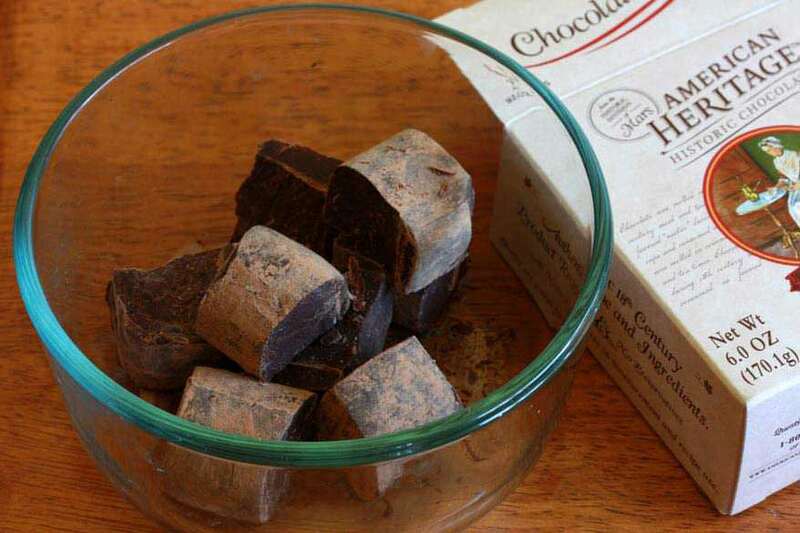 Melt the chocolate bar chunks (either in a double boiler or microwave). 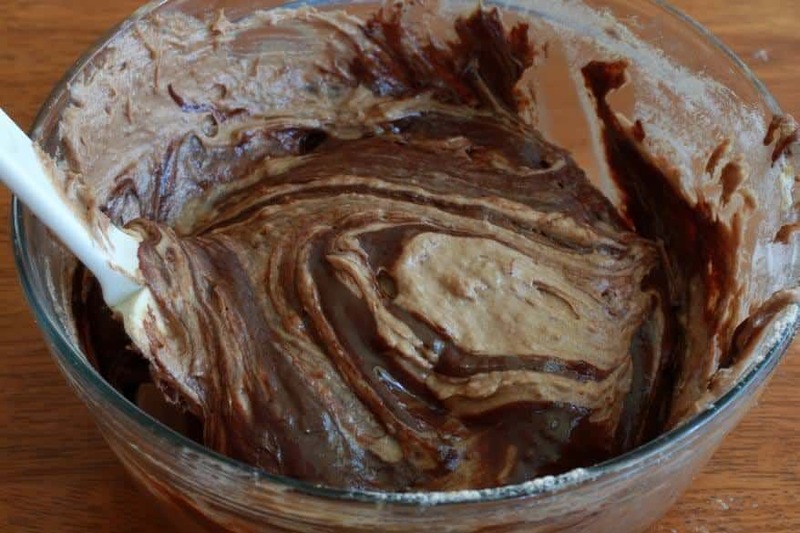 Pour the melted chocolate into the batter and stir to combine. Spoon the batter into the prepared pudding mold and secure the lid. Place a dishtowel that's been folded several times in the bottom of the stock pot, positioning it with a long spoon if necessary. 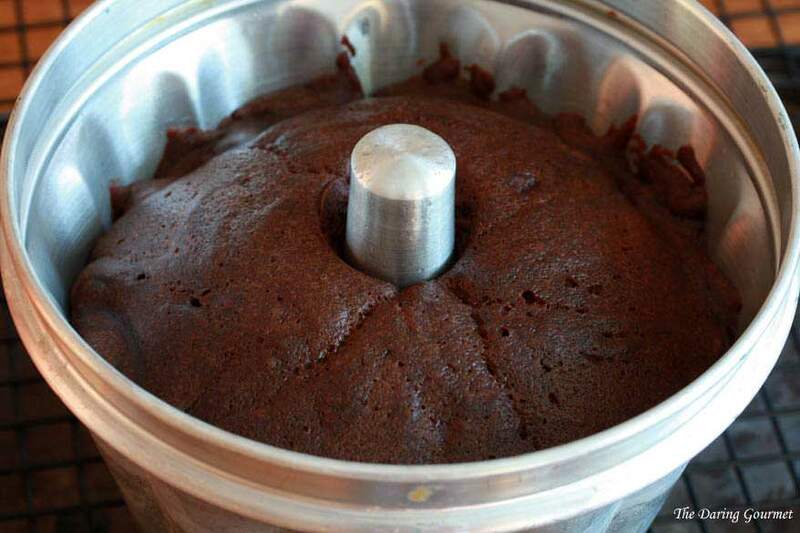 You must avoid letting the pudding mold touch the bottom of the pot and ensure that it remains standing straight throughout the steaming process. Do not let any water get into the mold. Place the pudding mold on top of the folded towel, reduce the heat to low, cover the pot, and simmer for 1½ hours. 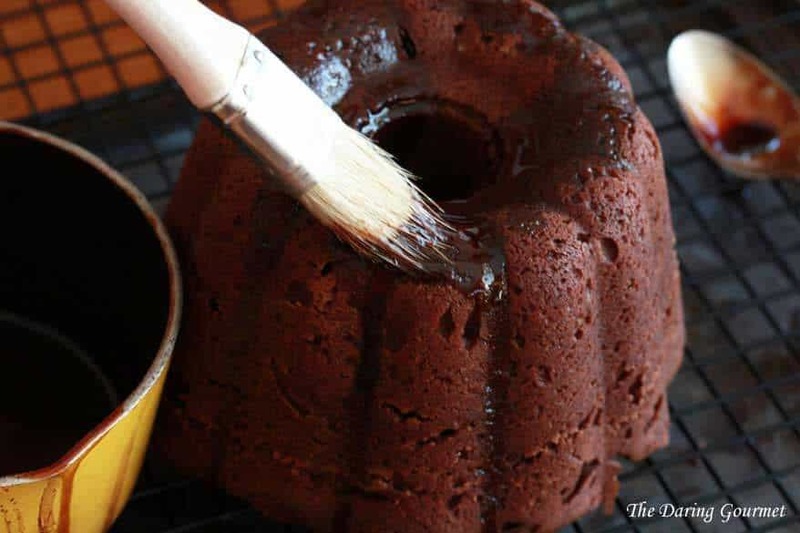 Remove the pudding mold from the pot and let it sit for 5 minutes while you prepare the glaze. To make the glaze, combine the three ingredients in a small saucepan, bring to a boil and simmer for 5 minutes. Invert the pudding onto a wire rack positioned over a cookie sheet. While the pudding is still warm, brush the chocolate glaze all over then carefully transfer to a serving plate. Serve warm with whipped cream, hot fudge sauce, or ice cream. To reheat, place the pudding back in the mold, cover, and boil again for a few minutes until heated. Top quality dark chocolate is imperative to the flavor outcome of this pudding. I love a good steamed pudding. We have one every year that my mom makes. Would love to try this one. Hi Robin! That’s always been a tradition in my family as well. My mom always makes a pudding for Christmas and then another one for New Year’s (two different kinds). I always look forward to them every year. I recall seeing canned puddings in England but I don’t know that I’ve seen them here before. I haven’t ever looked though. I guess they probably come out during the holiday season. And yes, a good homemade hard sauce can dress up even a humble canned pudding quite nicely. Oh my! That looks decadent! Beautiful. Thanks so much, Mary! I love steamed puddings. I’ll be making a plum pudding for Christmas and another kind for New Year’s. They’re fun to make and taste so good! My grandmother always made steamed pudding for Christmas. She always topped it with a hard creamy topping that melted into the warm pudding. Thank you for this! You are very welcome, Pam! Dishes that bring back memories of loved ones are always special. That’s neat that your grandmother had a tradition of making steamed pudding every Christmas. Our family has been making and enjoying a chocolate steamed pudding every year for Christmas dinner for 45 years! I found a recipe in the Betty Crocker cookbook, when I was a kid and asked if we could try it; now my kids love it so much I have to double the recipe. We have ours with a white creamy sauce on top that really sets it off. 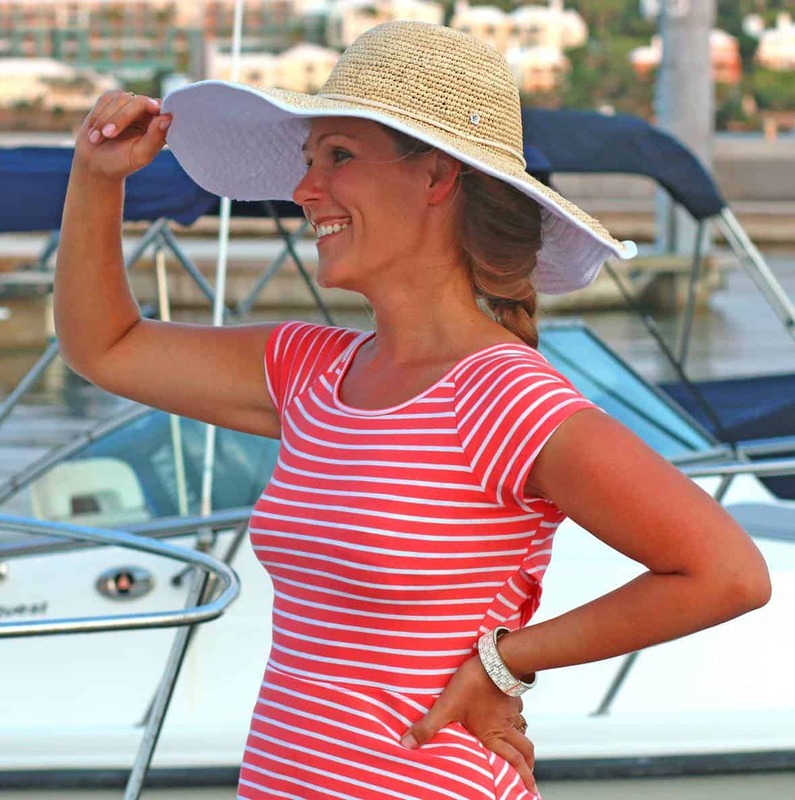 That’s a wonderful tradition, Kim, thanks for sharing! You may have ‘developed’ this extravagant version of this pudding but it is not new. 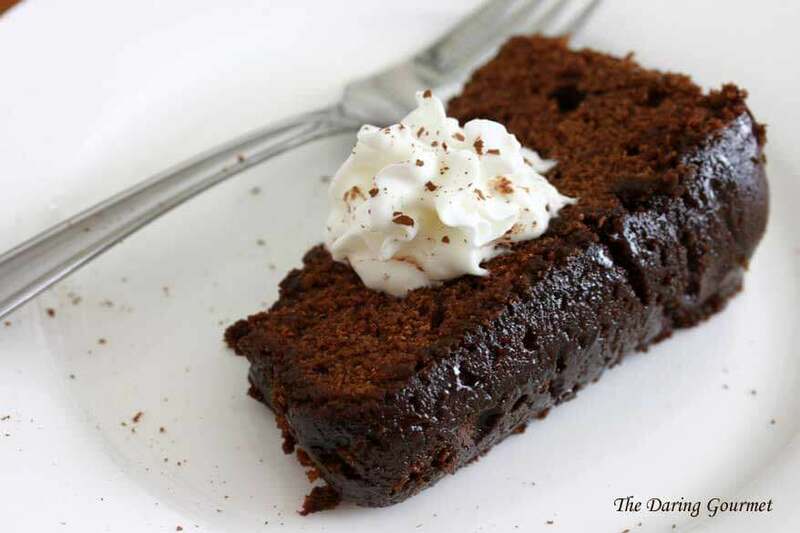 It has been around since at least 1934 from the Hershey’s 1934 Cookbook as Steamed Chocolate Pudding. My grandmother from that era made it for us as kids and served it with vanilla ice cream. 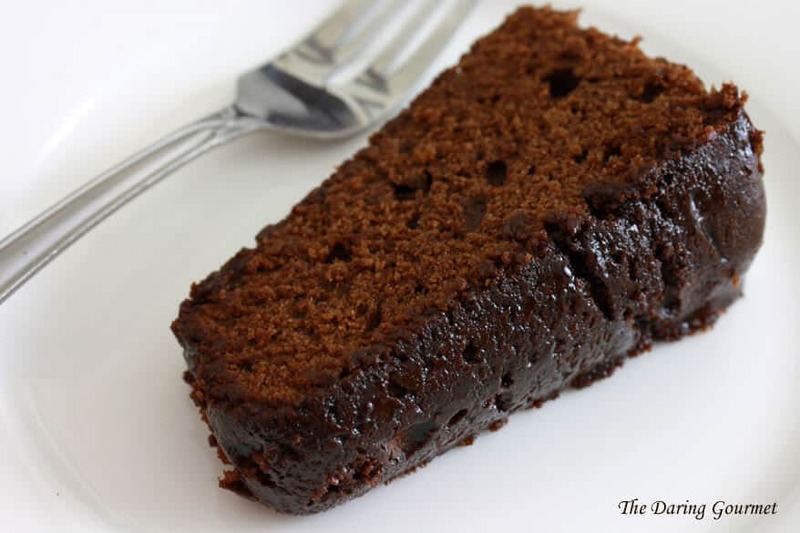 Paco, I don’t have a copy of the 1934 cookbook, but yes I’m sure steamed chocolate pudding has been made many times over before – this is my recipe version. Give it a try and I’m sure you’ll love it. 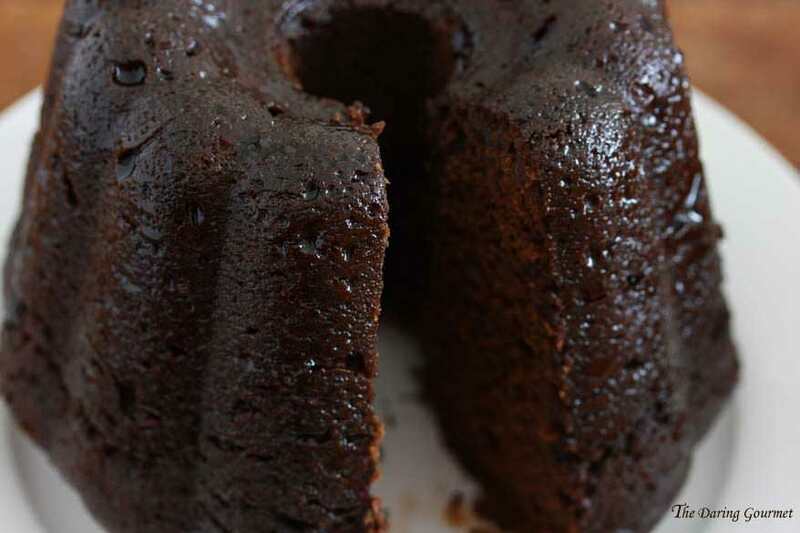 My mother has been gone since 2008, but she used to make chocolate steamed pudding, and I recall it being delicious, and it was a favorite, well loved dessert in our family, handed down from those who came before, originally over from England to settle in Massachusetts, via the Mayflower. Chocolate Steamed Pudding and Indian Pudding aka Hasty pudding were favorites of mine growing up. I never tried to make it, as I no longer have the recipe she had. But out of curiosity I decided to try and find one online I thought I could tackle. I plan to experiment with yours, and ‘tweek’ the recipe using the some of commenters ideas. UNLESS of course you could tell me how I might get my hands on the American Heritage products. I live in Florida, and I don’t believe I have ever seen them down here. Hi Traci! Oh, that’s too bad you no longer have that treasured recipe, what a rich heritage it had. For the chocolate you can either order it online from their website or simply use any good dark chocolate of your choice. It’s going to turn out scrumptious regardless. Happy steaming! This sounds like a lovely recipe. I will try it in a silicone mold. No offense, but you might want to read up on the health affects of cooking with aluminum since you seem to care about healthy eating. Hi Jacqueline, thank you. This pudding is steamed so I’m not sure you can use a silicone mold for this – unless there are some on the market that can be used for steaming. Regarding aluminum, using it for baking is different than cooking, the main concern being cooking with highly acidic foods like tomatoes. Nevertheless, there are a lot of claims about the adverse affects aluminum based on poorly conducted and conflicting research that simply haven’t been substantiated. This is from the official Alzheimer’s website: “During the 1960s and 1970s, aluminum emerged as a possible suspect in Alzheimer’s. 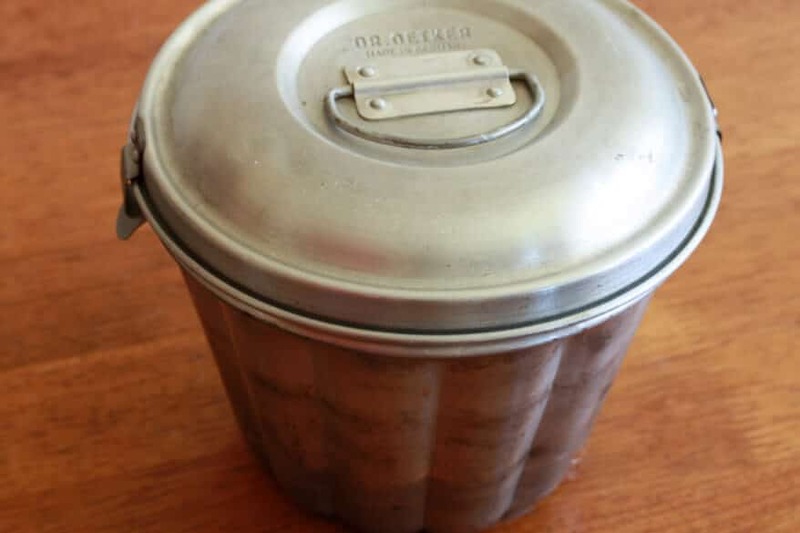 This suspicion led to concern about exposure to aluminum through everyday sources such as pots and pans, beverage cans, antacids and antiperspirants. Since then, studies have failed to confirm any role for aluminum in causing Alzheimer’s. Experts today focus on other areas of research, and few believe that everyday sources of aluminum pose any threat.” Even so, I personally avoid it entirely for cooking and only use it for baking. Hi Kimberly, at this moment this pudding is steaming :) I’m from Holland and not familiar with steamed puddings, but really wanted to gif it a try when I came across this recipe. I had one problem however. 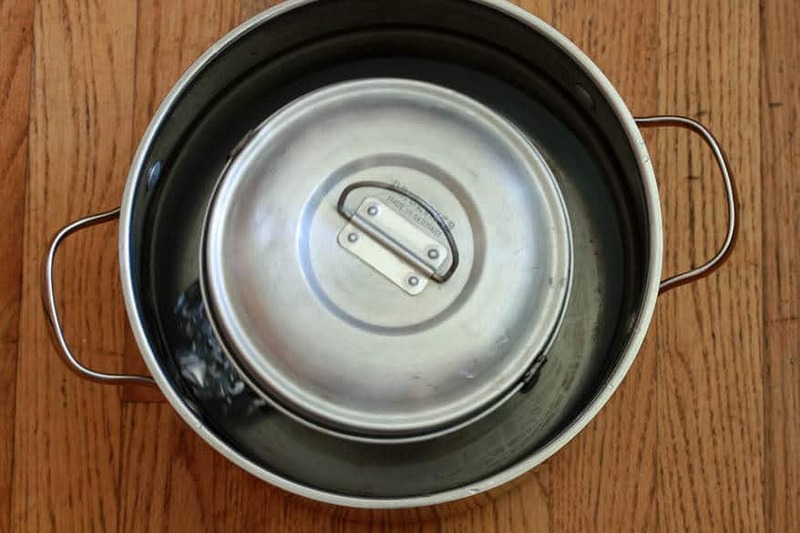 When I placed the mold in the pan with water, the mold floated in the pan and I had to put a heavy pot on it before I could cover it with the lid, and it was quite difficult to find something in the right size and weight. Have you come across this problem? Is there any way I can avoid this? Hi Twig, you’re not alone. That’s pretty common and it’s just about finding a way to keep it weighed down so that the pudding cooks evenly. Okay that’s good to know :) Pudding came out great! That’s wonderful, Twig, so happy to hear it – thank you! We make a simple hard sauce w/confectioner’s sugar and butter. I have Balinese vanilla beans and can choose either bourbon or brandy for our tastes. Mine is rather thick but my mom always served it w/her family recipe. That sounds lovely, thanks for sharing! Hi Joann, if you wrap it tightly in a couple of layers of plastic wrap it will keep for 4-5 days in the fridge. You can also freeze it for longer storage. I generally reheat it in the microwave – just however many slices you need because reheating more than once will impact the texture. Hi Kimberly, I recently picked up a vintage 1950’s Dr. Oetker pudding mold similar to yours on Etsy and I’m looking forward to trying out all these delicious looking puddings! That sounds like a great acquisition, Susan, congrats and I hope you enjoy the puddings! I have a steamed pudding mold that used to be my mom’s. The size is 8″ dia. across the lid, and about 5 3/4″ in height. I’d love to find something just a little bit smaller. I’m getting so frustrated after looking at many online. Would you have any idea where I might possible find it? Hi Nora, yes, it’s hard finding anything smaller unless it’s much smaller, like for one or two servings. The Mrs. Anderson Pudding Mold is “slightly” smaller across, 7.25 inches, but basically the same in height, 5.5 inches. 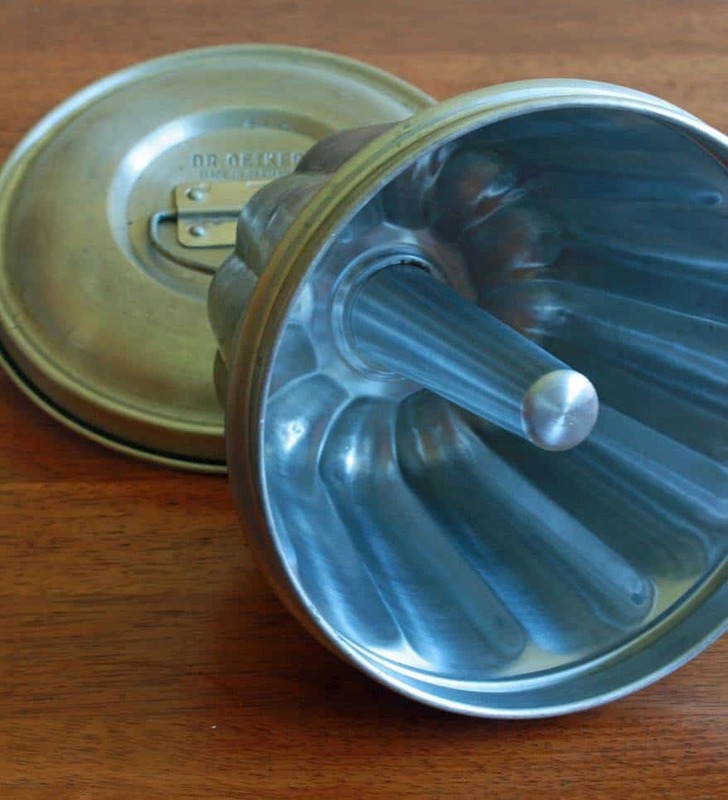 The Patisse Pudding Mold says it’s only 1/2 liter, which doesn’t seem possible, and one of the reviews said it’s actually 1.6 liter capacity (the same as Mrs. Anderson), however its dimensions are smaller: 6.5 inches across, 4.5 inches high.